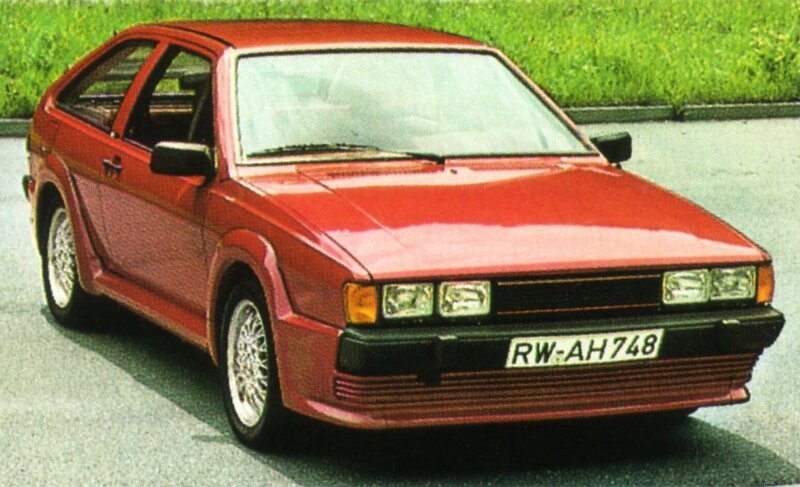 VAG UK offered the BBS ‘Aerodynamik’ body kit as an option for the Mk2 Scirocco, prior to the Zender body kit becoming standard fitment across the Scirocco range. 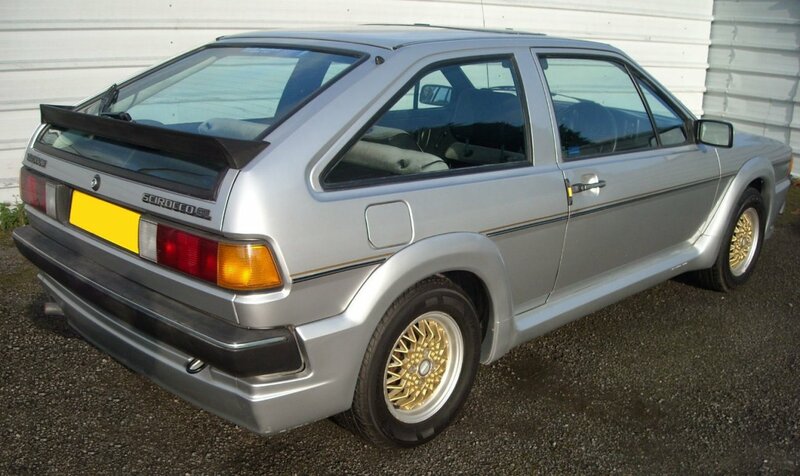 It comprised front and rear spoilers, wheel arch extensions and side skirts. 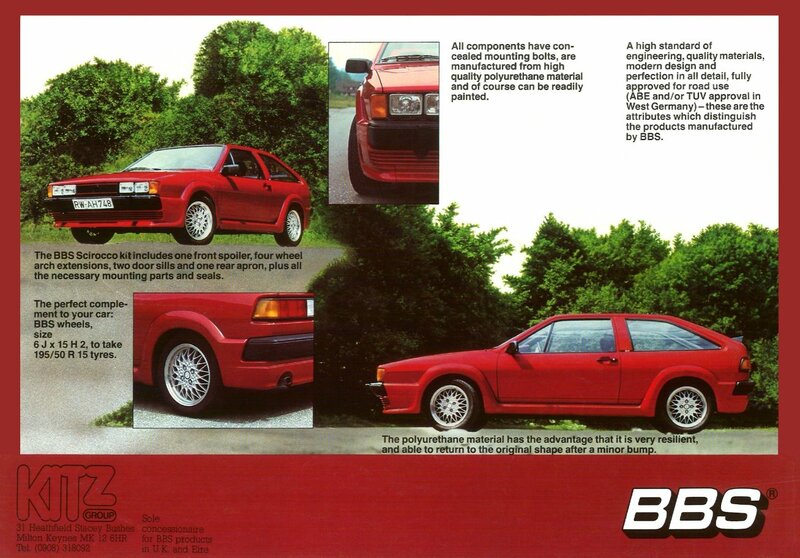 Unlike most of the more garish body kits that were the trend in the 80s, the BBS kit still looks good today. BBS RA alloy wheels were a must to compliment the look of the car. 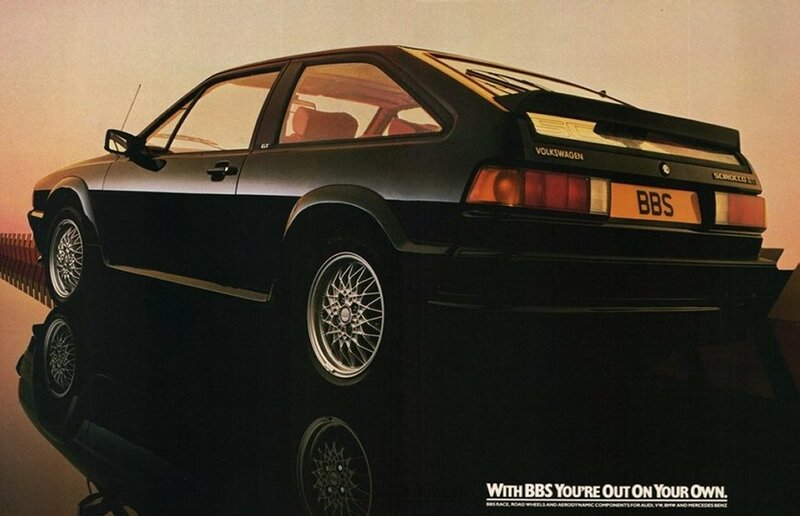 A UK press photo of a BBS Scirocco GTI. Note the leather seats. Clay mock-up being created in the BBS pattern shop. 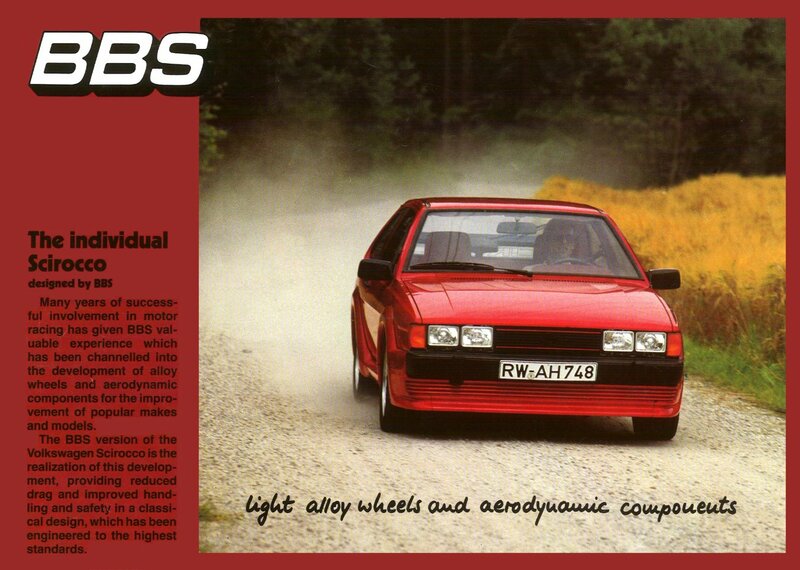 Pics from a German 1984 BBS catalogue. Close up shots from the same catalogue. 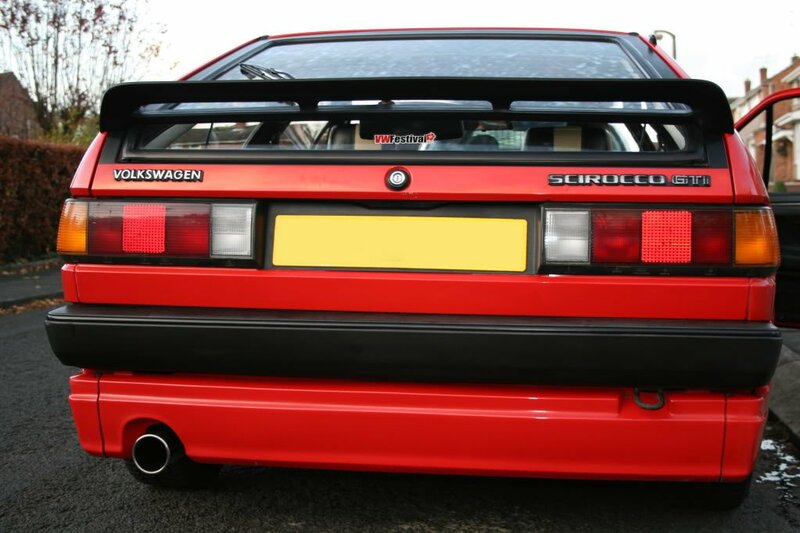 Note the rubber seal between the arches and bodywork. The UK BBS flyer. The kit was distributed in the UK by Kitz, a subsidiary of VAG UK. 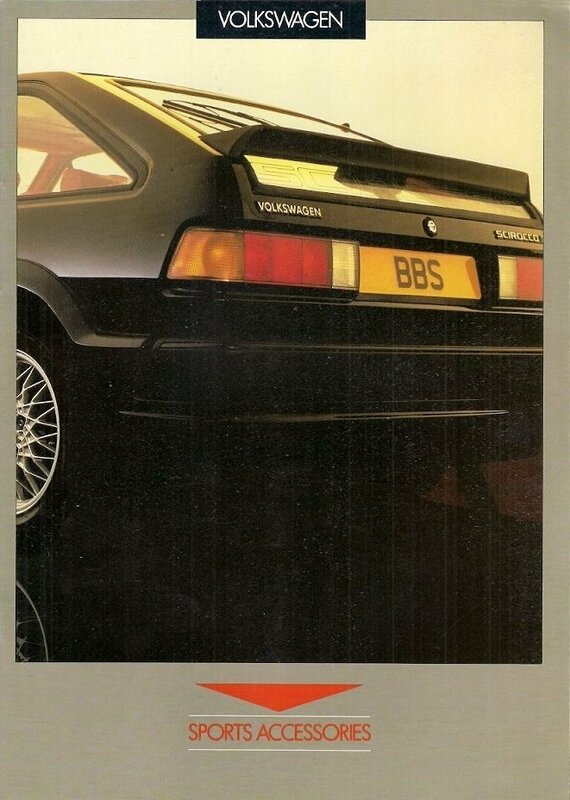 A UK magazine advert for BBS. Cover of a UK Volkswagen accessories brochure. 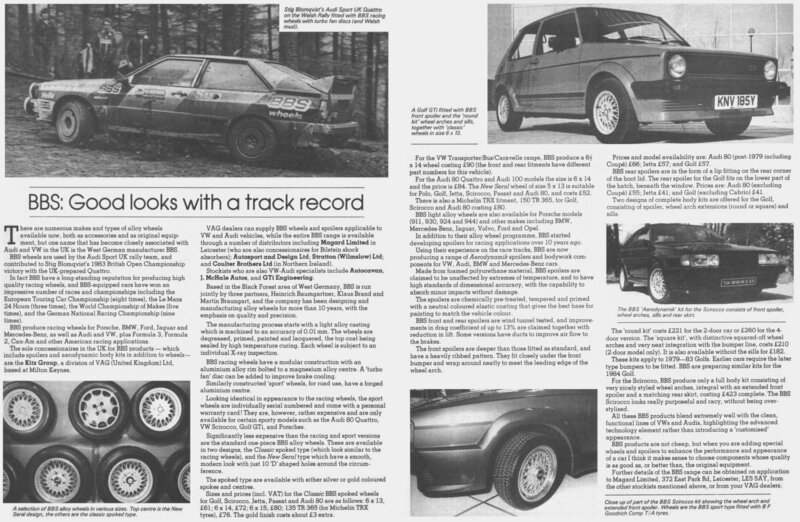 May 1984 article from VW Motoring about BBS products for the VAG range. 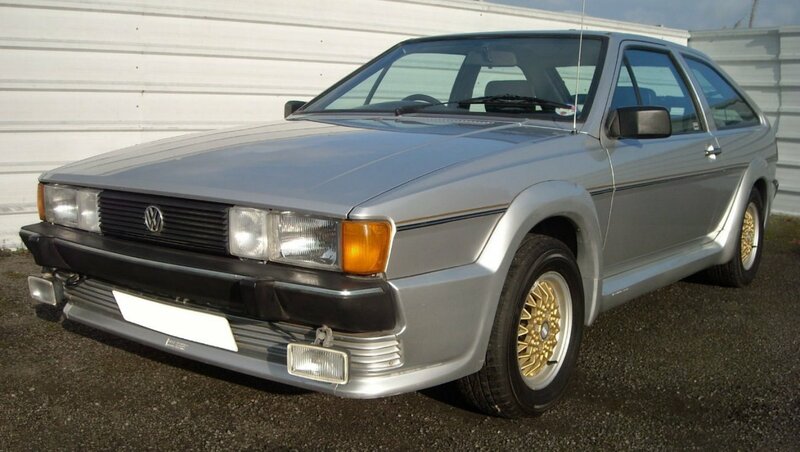 A UK spec Scirocco GL with BBS body kit and wheels. 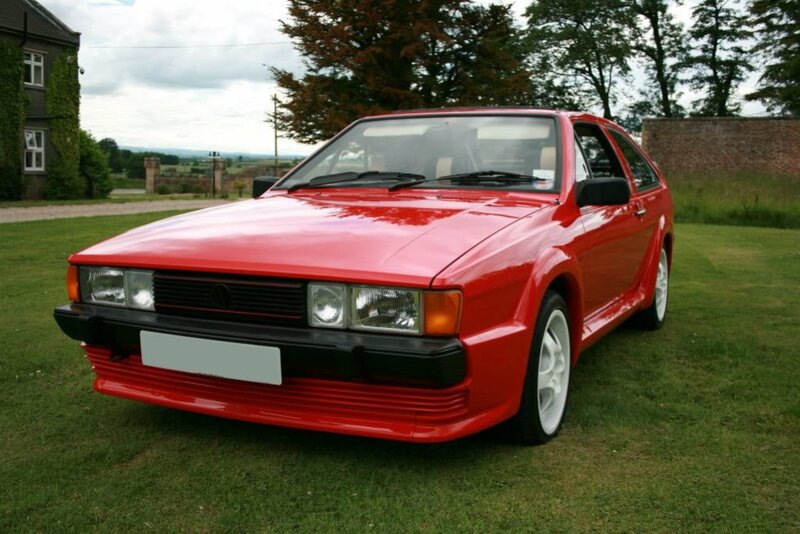 A beautiful UK spec BBS Scirocco GTI. Very special thanks to ‘Jabasco’ for help with this page.